"L.A. 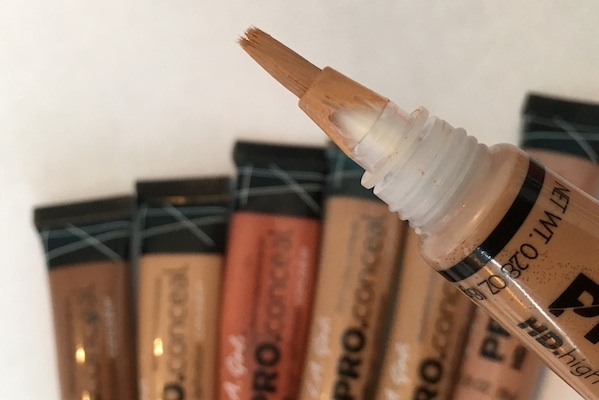 Girl PRO Conceal HD High Definition Concealer sumptuously glides across the complexion, imparting high-capacity coverage to the targeted areas whilst simultaneously promoting a natural finish". 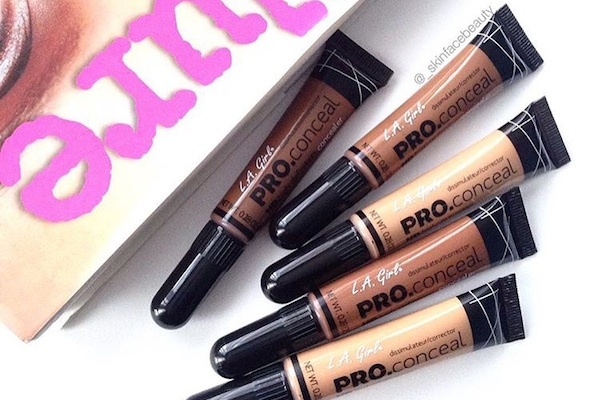 If you've been following my Instagram (_skinfacebeauty) you'll know how much I've been loving the LA Girl concealers. 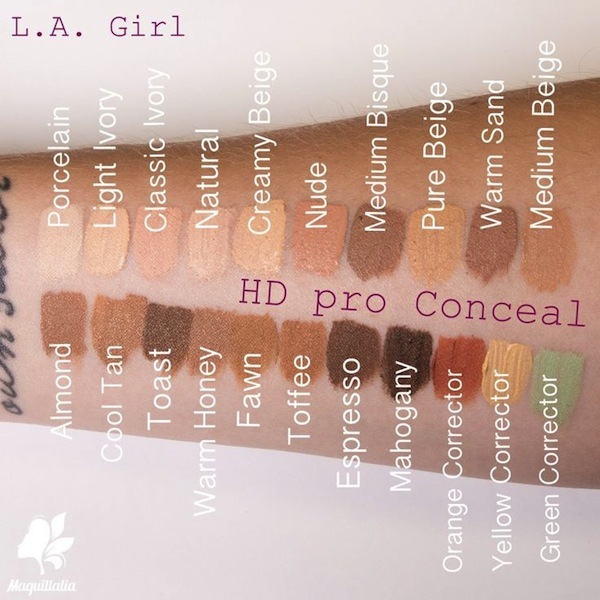 There are a total of 21 shades; for colour correcting, concealing, highlighting and contouring. They originate in the US however they are finallyyyy available here in the UK and at an amazing price - yay! They are so so easy to apply as they all come with a brush tip so you can press the tube and control how much exactly you need to use - a little does go a long way, they are super pigmented. The orange colour corrector in particular is SO orange, I tend to do a couple of small dots on my under eye area and blend out with my ring finger as opposed to applying it straight out the tube. 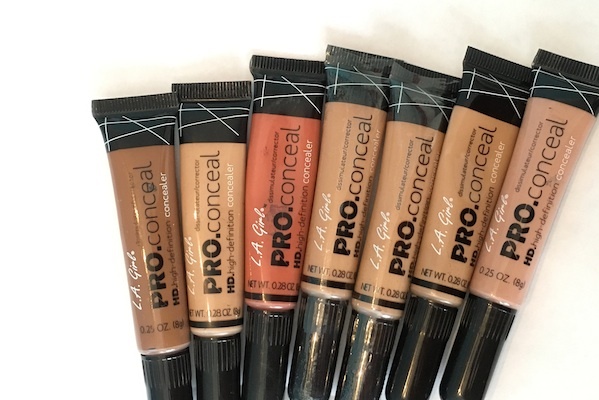 The concealers have a matte finish and are of a medium coverage however it is definitely buildable if needed. They blend so flawless with a beautyblender. They claim to be 'crease-resistant' however for me, I always have the one annoying crease line under each eye that is forever there so it doesn't really bother me. The concealer itself is lightweight and very long-lasting. It tends to dry really quickly so it needs to be blended out as soon as it's applied. The drying formula can be a good thing because you will know the contour/concealer will not budge throughout the day. As you can tell, the pros definitely win! 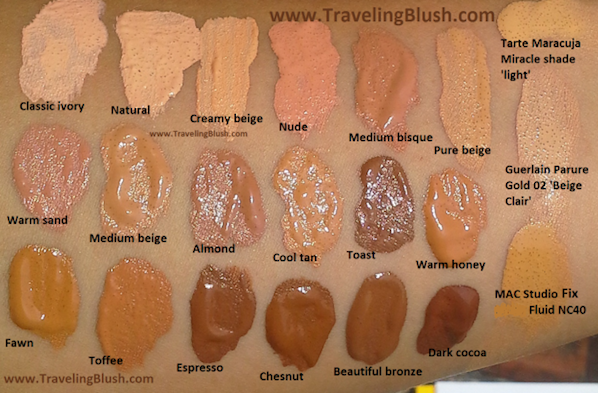 I've listed some shade references below and I hope it helps you choose your shade. £2.98 including delivery - PURCHASE HERE - the seller has never failed to impress me with their super quick delivery.